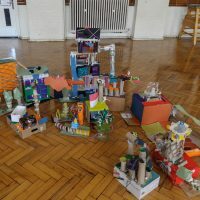 A residential tower with rooftop gardens and a glass office with water slides were just a couple of the models constructed yesterday by Brazil Class, Year 4, Northwold Primary School, with help from LOM as part of Open City’s Architecture in Schools summer programme.Made from cardboard, toilet rolls, fabric samples and plastic bottles the class’s models included places to live, work, learn, play and move. 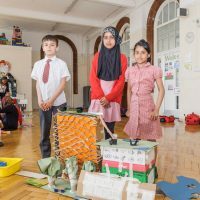 Each of the models formed part of Future City, the class’s city neighbourhood, and response to Open City’s design brief. 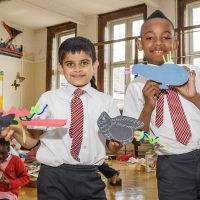 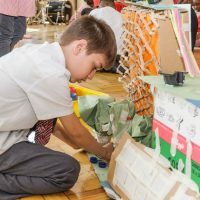 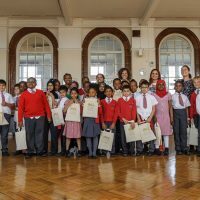 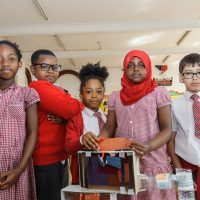 The designs will be entered into an inter-school competition with the winning entries displayed and announced at a special awards ceremony for pupils, teachers and parents. 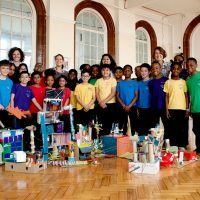 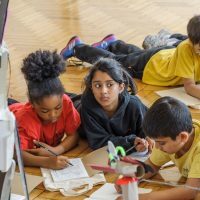 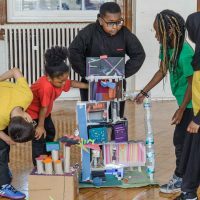 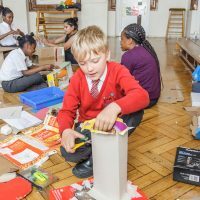 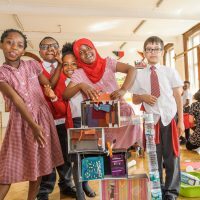 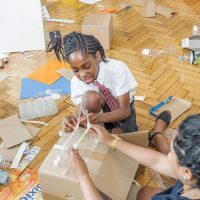 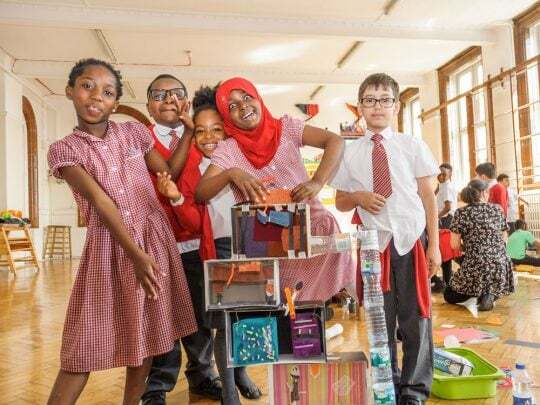 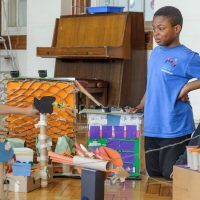 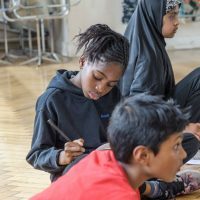 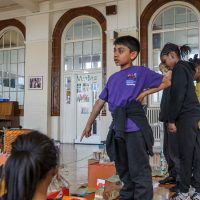 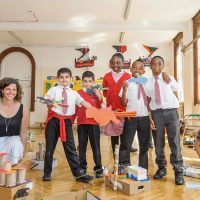 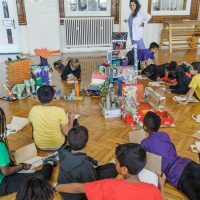 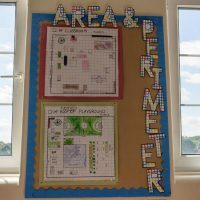 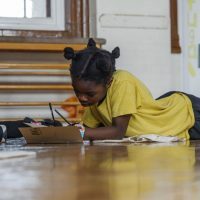 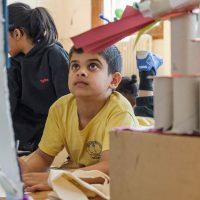 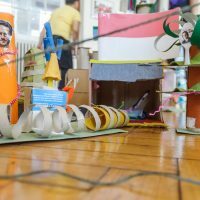 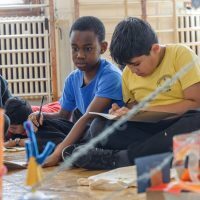 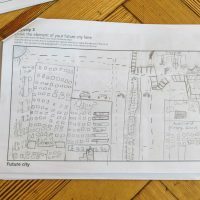 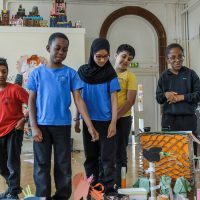 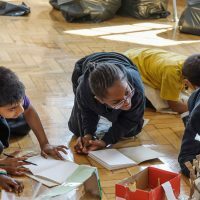 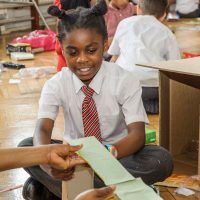 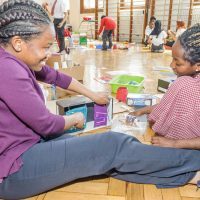 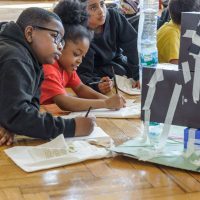 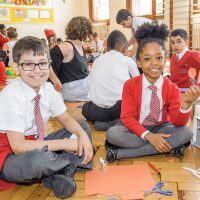 This is the third time LOM has taken part in Architecture in Schools which last year saw over 800 pupils from 19 London schools partner with 60 architects to learn more about the built environment and improve their skills in Maths, Art and Design Technology.